^ Goldschmidt, Arthur (1988). Modern Egypt: The Formation of a Nation-State. Boulder, CO: Westview Press. p. 5. ISBN 978-0-86531-182-4. 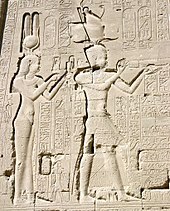 Among the peoples of the ancient Near East, only the Egyptians have stayed where they were and remained what they were, although they have changed their language once and their religion twice. In a sense, they constitute the world's oldest nation. For most of their history, Egypt has been a state, but only in recent years has it been truly a nation-state, with a government claiming the allegiance of its subjects on the basis of a common identity. ^ "Background Note: Egypt". United States Department of State Bureau of Near Eastern Affairs. 10 November 2010. Retrieved 5 March 2011. ^ a b "الجهاز المركزي للتعبئة العامة والإحصاء" (PDF). www.capmas.gov.eg. Retrieved 13 October 2017. ^ "GINI index". World Bank. Retrieved 8 February 2013. ^ "Constitutional Declaration: A New Stage in the History of the Great Egyptian People". Egypt State Information Service. 30 March 2011. Retrieved 15 April 2011. 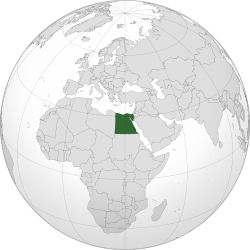 ^ "Constitution of The Arab Republic of Egypt 2014" (PDF). sis.gov.eg. Retrieved 13 April 2017. ^ "South Africa just lost its spot as Africa's second largest economy". Retrieved 11 November 2017. ^ "South Africa's Economy Falls To Third Behind Nigeria, Egypt". Retrieved 19 November 2017. ^ The ending of the Hebrew form is either a dual or an ending identical to the dual in form (perhaps a locative), and this has sometimes been taken as referring to the two kingdoms of Upper and Lower Egypt. However, the application of the (possibly) "dual" ending to some toponyms and other words, a development peculiar to Hebrew, does not in fact imply any "two-ness" about the place. The ending is found, for example, in the Hebrew words for such single entities as "water" ("מַיִם"), "noon" ("צָהֳרַיִם"), "sky/heaven" ("שָׁמַיִם"), and in the qere – but not the original "ketiv" – of "Jerusalem" ("ירושל[י]ם"). It should also be noted that the dual ending – which may or may not be what the -áyim in "Mitzráyim" actually represents – was available to other Semitic languages, such as Arabic, but was not applied to Egypt. See inter alia Aaron Demsky ("Hebrew Names in the Dual Form and the Toponym Yerushalayim" in Demsky (ed.) These Are the Names: Studies in Jewish Onomastics, Vol. 3 (Ramat Gan, 2002), pp. 11–20), Avi Hurvitz (A Concise Lexicon of Late Biblical Hebrew: Linguistic Innovations in the Writings of the Second Temple Period (Brill, 2014), p. 128) and Nadav Na’aman ("Shaaraim – The Gateway to the Kingdom of Judah" in The Journal of Hebrew Scriptures, Vol. 8 (2008), article no. 24, pp. 2–3). 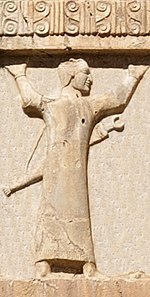 ^ "On the So-Called Ventive Morpheme in the Akkadian Texts of Amurru". www.academia.edu. p. 84. Retrieved 18 November 2015. ^ Muḥammad Jamāl al-Dīn Mukhtār. "Ancient Civilizations of Africa". Books.google.co.za. p. 43. Retrieved 28 May 2016. ^ "Egypt – Major Cities". Countrystudies.us. Retrieved 8 February 2013. ^ Donald Quataert (2005). The Ottoman Empire, 1700–1922. Cambridge University Press. p. 115. ISBN 978-1-139-44591-7. Retrieved 21 June 2013. ^ "Icelandic Volcano Caused Historic Famine In Egypt, Study Shows". ScienceDaily. 22 November 2006. Retrieved 8 February 2013. 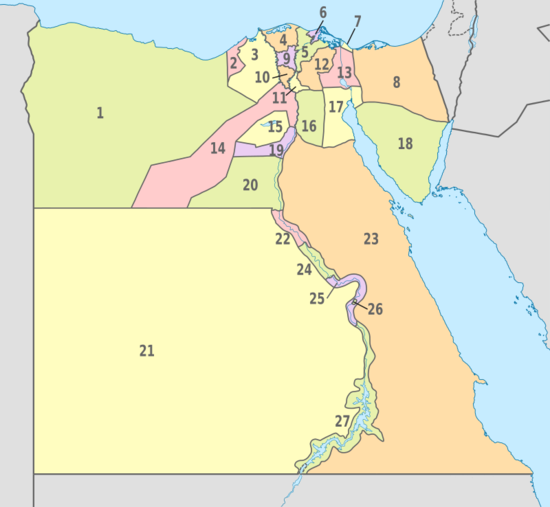 ^ "Treaty of Lausanne (1923): Article 17 of the treaty refers to Egypt and Sudan". byu.edu. 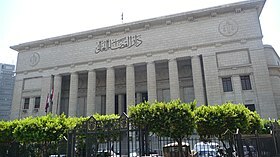 ^ "ذاكرة مصر المعاصر – السيرة الذاتية". 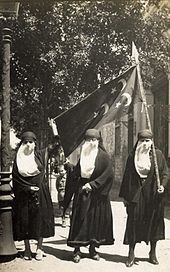 modernegypt.bibalex.org. 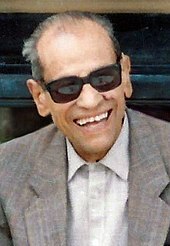 ^ Samir A. Mutawi (2002). Jordan in the 1967 War. Cambridge University Press. p. 95. ISBN 978-0-521-52858-0. ^ Jesse Ferris (2013). 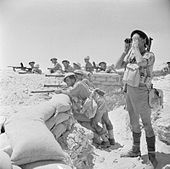 Nasser's Gamble: How Intervention in Yemen Caused the Six-Day War and the Decline of Egyptian Power. Princeton University Press. p. 2. ISBN 0-691-15514-3. ^ Major Michael C. Jordan (USMC) (1997). "The 1973 Arab-Israeli War: Arab Policies, Strategies, and Campaigns". GlobalSecurity.org. Retrieved 20 April 2009. 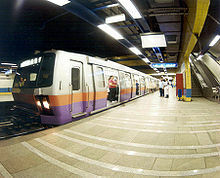 ^ a b Cambanis, Thanassis (11 September 2010). 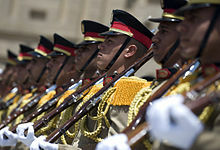 "Succession Gives Army a Stiff Test in Egypt". The New York Times. Egypt. Retrieved 3 November 2011. ^ "Egyptian vote marred by violence". Christian Science Monitor. 26 May 2005. Retrieved 8 February 2013. ^ a b "Egypt: Overview of human rights issues in Egypt". Human Rights Watch. Retrieved 8 February 2013. ^ "Mubarak Resigns As Egypt's President, Armed Forces To Take Control". Huffington Post. 11 February 2011. Retrieved 8 February 2013. ^ Hope, Christopher; Swinford, Steven (15 February 2011). "WikiLeaks: Egypt's new man at the top 'was against reform'". The Daily Telegraph. Retrieved 5 March 2011. ^ Memmott, Mark (28 November 2011). "Egypt's Historic Day Proceeds Peacefully, Turnout High For Elections". Npr.org. Retrieved 8 February 2013. ^ a b "Think Again: The Muslim Brotherhood". 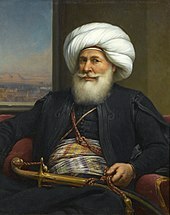 Al-Monitor. 28 January 2013. Retrieved 7 December 2016. ^ Kirkpatrick, David D. (3 July 2013). "Army Ousts Egypt's President; Morsi Denounces 'Military Coup'". The New York Times. Retrieved 3 July 2013. ^ "Egypt protests: Hundreds killed after police storm pro-Morsi camps". Australian Broadcasting Corporation. 15 August 2013. Retrieved 29 July 2014. ^ Fouberg, Erin H.; Murphy, Alexander B.; de Blij (2009). Human Geography: People, Place, and Culture. John Wiley & Sons. p. 91. ISBN 978-0-470-57647-2. Retrieved 10 February 2013. ^ "Egypt to build new administrative and business capital". BBC News. 13 March 2015. ^ "Egypt: National Strategy and Action Plan for Biodiversity Conservation" (PDF). Retrieved 9 December 2012. ^ "Incorporating Sharia into legal systems". BBC News. 8 February 2008. Retrieved 18 February 2013. ^ "Egypt Gender Equality Profile" (PDF). UNICEF. ^ "Legislation Egypt". Lexadin.nl. Retrieved 8 February 2013. ^ "7 Egyptian Christians, Florida pastor sentenced to death for anti-Islam film". Fox News. 28 November 2012. ^ a b c d e f BBC (18 January 2014). "BBC News – Egypt referendum: '98% back new constitution'". BBC Online. Retrieved 19 January 2014. ^ "The Egyptian Human Rights Council: The Apple Falls Close to the Tree". ANHRI. Retrieved 8 February 2013. ^ "Religion: Few States Enjoy Freedom of Faith, Report Says". Ipsnews.net. 17 December 2009. Retrieved 1 February 2011. ^ Spalinger A (April 2016). "Ein Mordfall wird zur Staatsaffäre". Neue Zürcher Zeitung International. Retrieved 5 May 2016. ^ a b "Egypt, International Religious Freedom Report 2008". Bureau of Democracy, Human Rights, and Labor. 19 September 2008. ^ Foundation, Thomson Reuters. "The world's most dangerous megacities for women 2017". poll2017.trust.org. Retrieved 24 October 2017. ^ Cambanis, Thanassis (11 September 2010). "Succession Gives Army a Stiff Test in Egypt". The New York Times. Retrieved 11 September 2010. ^ Marshall, Shana (15 April 2015). "The Egyptian Armed Forces and the Remaking of an Economic Empire". Carnegie Endowment for International Peace. Retrieved 23 June 2015. ^ Steinitz, Yuval (4 December 2006). "Not the peace we expected". Haaretz. Retrieved 8 February 2013. ^ "Obama restores US military aid to Egypt over Islamic State concerns". The Guardian. 31 March 2015. ^ "The U.S. gives Egypt $1.5 billion a year in aid. Here's what it does". The Washington Post. 9 July 2013. ^ Sharp, Jeremy M. (5 June 2014). "Egypt: Background and U.S. Relations" (PDF). Congressional Research Service. Retrieved 8 October 2014. ^ Iqbal, Jawad (7 May 2015). "Business as usual for Egypt and the West". BBC. Retrieved 23 June 2015. ^ "Egypt 'has key role' in fight against Islamic State – Kerry". BBC. 13 September 2014. Retrieved 18 October 2014. ^ Reuters. (10 February 2017). "Analysis: Trump presidency heralds new era of US-Egypt ties ". (Jerusalem) Jerusalem Post website Retrieved 10 February 2017. ^ Baker, Peter; Walsh, Declan (2017-04-03). "Trump Shifts Course on Egypt, Praising Its Authoritarian Leader". The New York Times. ISSN 0362-4331. Retrieved 2019-02-10. ^ Cagaptay, Soner; Sievers, Marc (8 March 2015). "Turkey and Egypt's Great Game in the Middle East". Foreign Affairs. Retrieved 23 June 2015. ^ a b "Egypt". U.S. Energy Information Administration. 14 August 2014. Retrieved 24 February 2015. ^ a b "Migration and Development in Egypt: Facts and Figures" (PDF). International Organization for Migration. 2010. Retrieved 21 July 2010. ^ Dziadosz, Alexander (20 October 2009). "Egypt tourism numbers to fall less than feared". Reuters Africa. Retrieved 8 February 2013. ^ Farouk, Dalia (27 December 2012). "Egypt tourism shows little recovery in 2012". Ahram Online. Retrieved 18 June 2013. ^ "Russia to lend Egypt $25 billion to build nuclear power plant". Reuters. 19 May 2016. 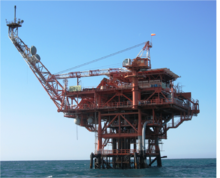 ^ "Egypt Says Work Finished on New Suez Canal". Voice of America. 29 July 2015. ^ "Egypt's New Suez Canal to Be Completed for Aug. 6 Ceremony". The New York Times. 30 June 2015. Retrieved 1 August 2015. 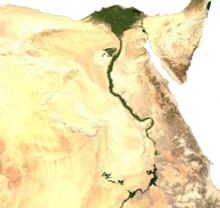 ^ "Egypt launches Suez Canal expansion". BBC News. 6 August 2015. Retrieved 6 August 2015. ^ Tadros, Sherine (6 August 2015). "Egypt Opens New £6bn Suez Canal". Sky News. Retrieved 6 August 2015. ^ "Population Clock". Central Agency for Public Mobilization and Statistics. 27 April 2013. Retrieved 27 April 2013. 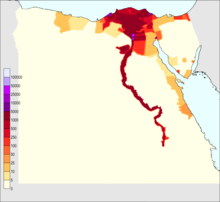 ^ "Egypt – Population". Countrystudies.us. Retrieved 8 February 2013. ^ a b c d e Omer Karasapan, Who are the 5 million refugees and immigrants in Egypt?, Brookings Institution (4 October 2016). ^ "Constitutional Declaration 2011". Egyptian Government Services. Retrieved 1 December 2017. ^ "Background Note: Egypt". US Department of State. 10 November 2010. Retrieved 5 March 2011. ^ "Egypt". CIA. 4 September 2008. ^ Alhram Online (19 November 2017). "Egypt's Sisi meets world Evangelical churches delegation in Cairo". Al Ahram. ^ "Egypt's Sisi meets world Evangelical churches delegation in Cairo". english.ahram.org.eg. Retrieved 2018-04-26. 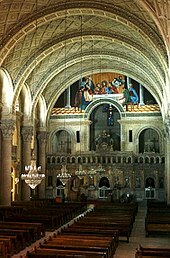 ^ "Encyclopedia Coptica: The Christian Coptic Orthodox Church Of Egypt". www.coptic.net. Retrieved 6 January 2016. ^ Kristin Deasy (October 2012). "The Sufis' Choice: Egypt's Political Wild Card". World Affairs Journal. Retrieved 6 July 2013. ^ a b Hassan Ammar (14 June 2013). "Sufis In Egypt Thrive With More Than 15 Million Despite Attacks By Islamist Hardliners". Huffington Post. Retrieved 6 July 2013. ^ Col. (ret.) Jacques Neriah (23 September 2012). "Egypt's Shiite Minority: Between the Egyptian Hammer and the Iranian Anvil". Jerusalem Center for Public Affairs. Retrieved 6 July 2013. ^ Tim Marshall (25 June 2013). "Egypt: Attack On Shia Comes At Dangerous Time". Sky News. Retrieved 6 July 2013. ^ Venetia Rainey (20 April 2011). "What is Salafism and should we be worried?". Theweek.co.uk. Retrieved 6 July 2013. ^ Robin Barton (19 February 2001). "Cairo: Welcome to the city of 1,000 minarets". The Independent. London. ^ Raymon Kondos (15 February 2004). 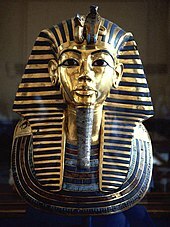 "The Egyptian Identity: Pharaohs, Moslems, Arabs, Africans, Middle Easterners or Mediterranean People?". Retrieved 21 August 2008. ^ a b "Country profiles: Egypt". BBC News. 15 January 2013. Retrieved 8 February 2013. ^ "Plus ca Change: The Role of the Media in Egypt's First Contested Presidential Elections". Tbsjournal.com. Retrieved 8 February 2013. ^ "Great Museum to be inaugurated in May 2018 – Egypt Independent". ^ "Al-Ahly – master of the world". Daily News Egypt. 11 December 2014. Retrieved 22 December 2014. ^ "Egyptian Ahmed Gabr breaks world's deepest scuba dive record – Omni Sports – Sports – Ahram Online". 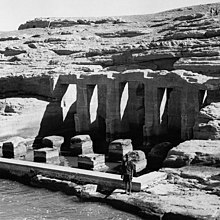 ahram.org.eg. ^ "Egyptian Scuba Diver Ahmed Gabr Plunges 1,066 Feet to Set World Record". NBC News. ^ "Egypt approves law clamping down on social media | The Malaysian Insight". www.themalaysianinsight.com. Retrieved 2018-09-03. ^ "Egypt president approves law clamping down on social media". Channel NewsAsia. Retrieved 2018-09-03. ^ The Cairo Post. 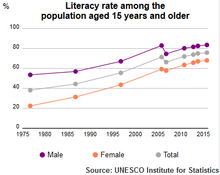 "More than 25% of Egypt's population 'illiterate'". Egyptian Streets. ^ a b c Higher education in Egypt (2010 ed.). OECD. 2010. p. 60. ISBN 978-92-64-08434-6. ^ "Cairo University – Academic Ranking of World Universities – 2015 – Shanghai Ranking – 2015". shanghairanking.com. ^ "Egypt Health Insurance". globalsurance.com. ^ "Egypt's parliament passes bill designating FGM a felony, imposes stricter penalties". Ahram Online. Retrieved 1 December 2016.